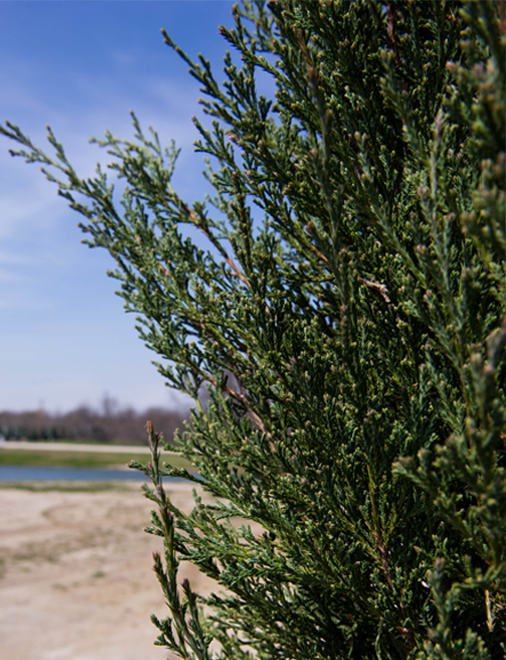 The Taylor Eastern Red Cedar (often referred to as Taylor Juniper) gets its name from where it was discovered in 1978 out of Taylor, Nebraska. 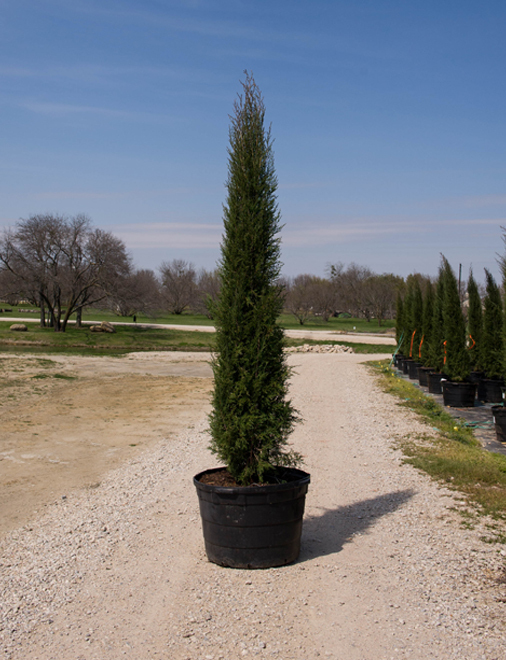 This cultivar of Eastern Red Cedar was selected because of its narrow and upright growth habit which resembles the look of an Italian Cypress. 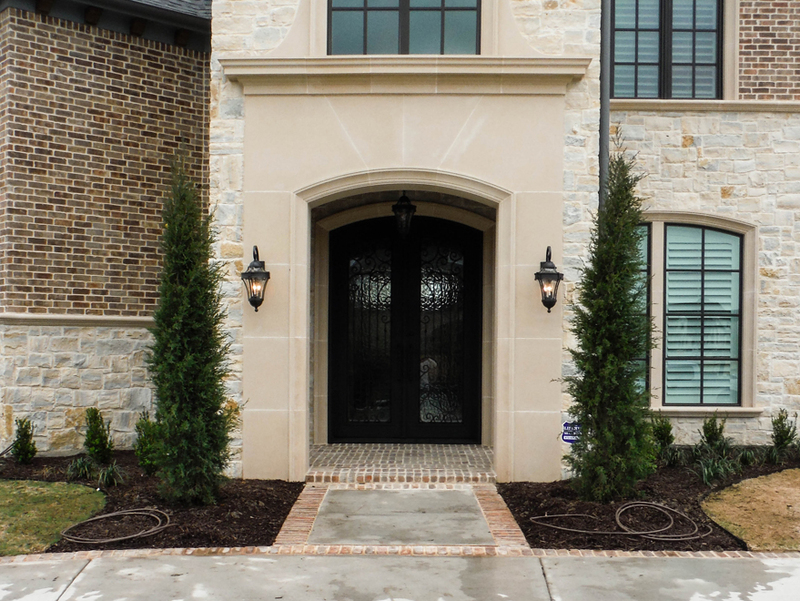 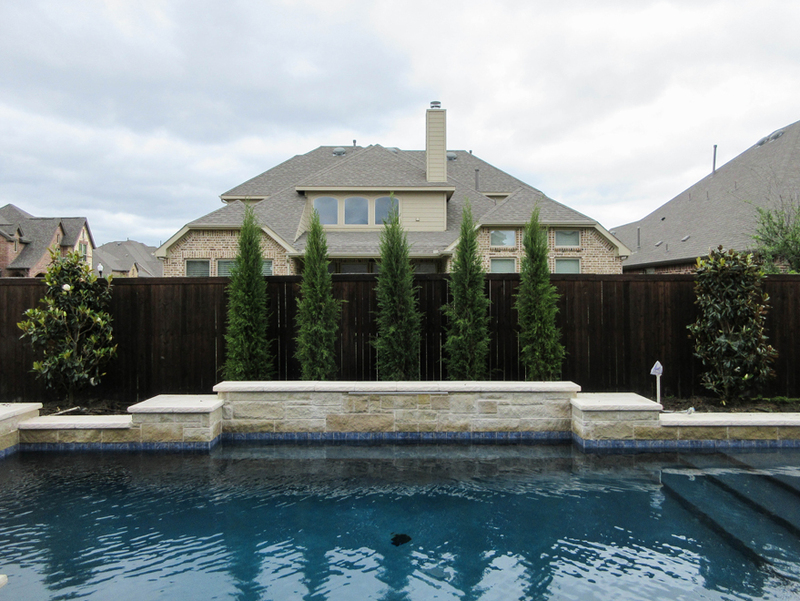 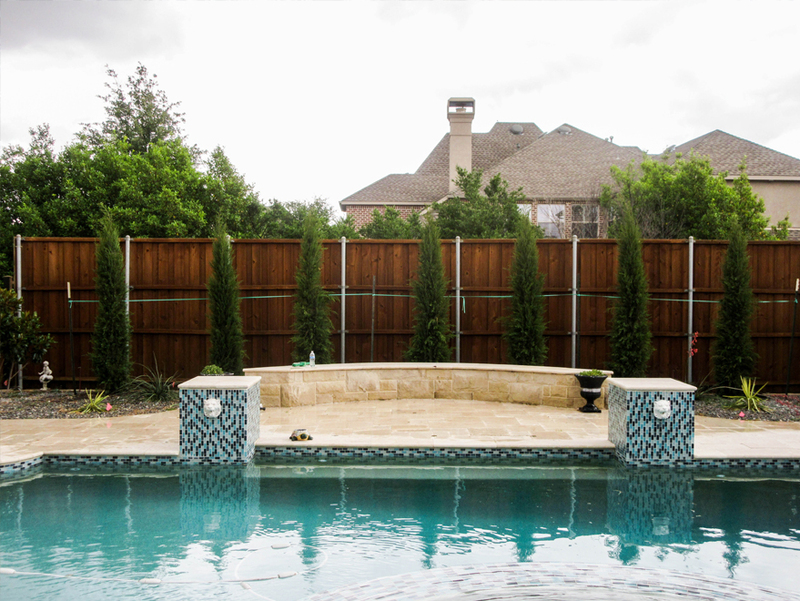 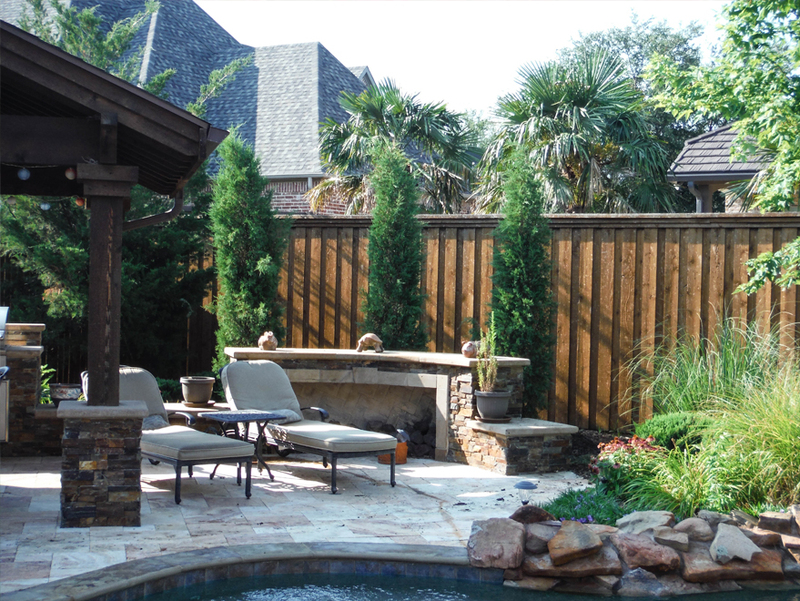 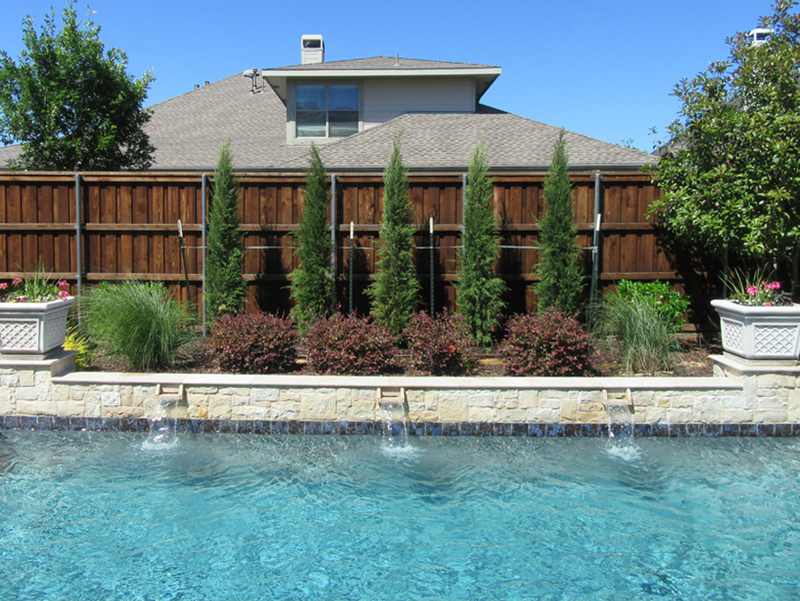 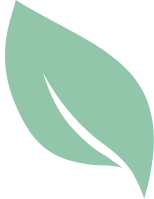 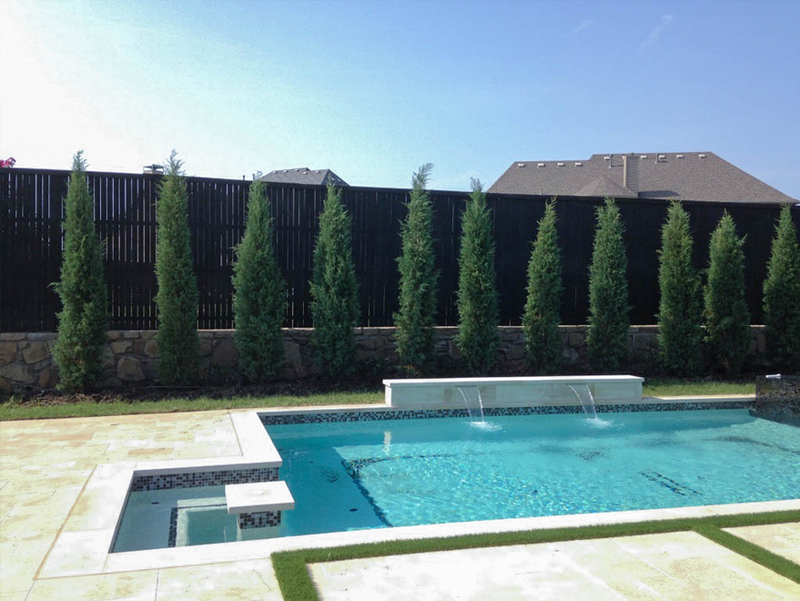 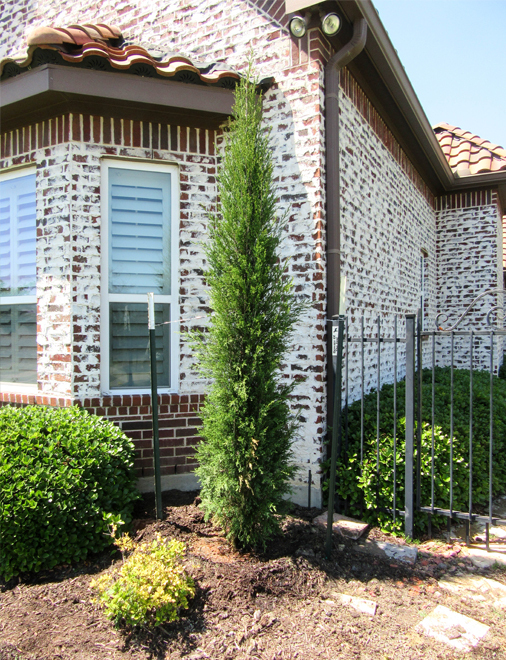 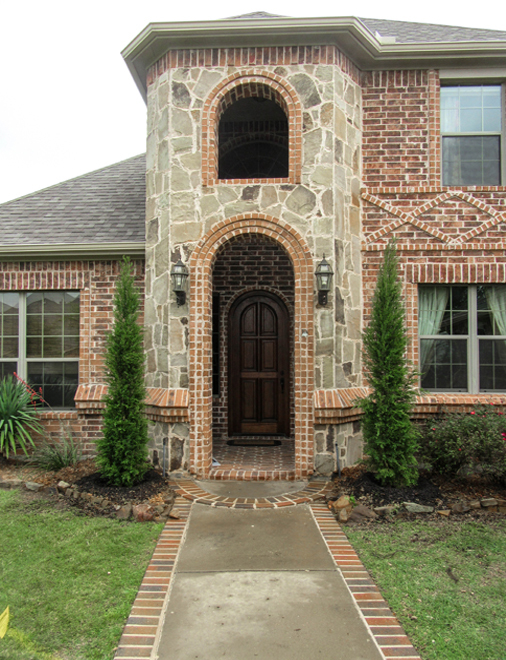 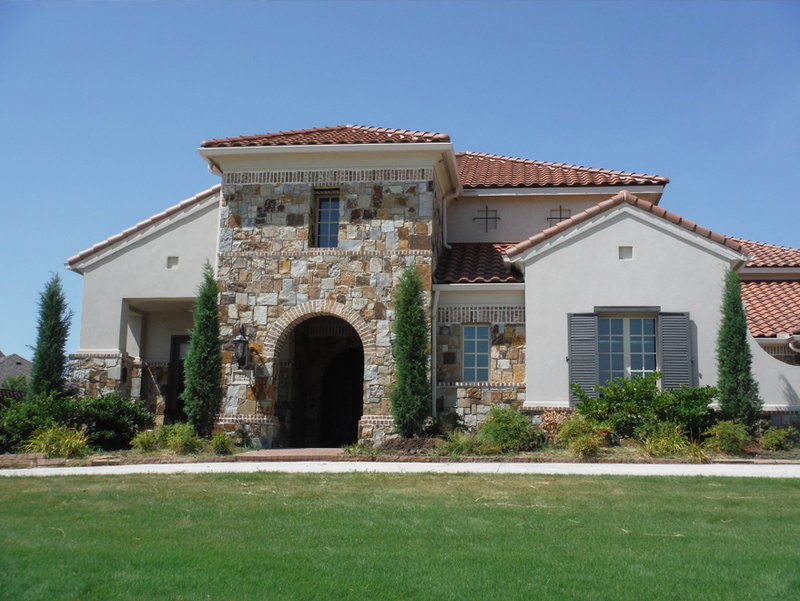 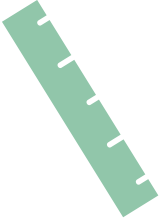 For years Italian Cypress have been thrust into landscapes throughout Dallas Metroplex because of their unique shape but they have a lot of issues which include: Phytophthora Root Rot, Seridium Canker, Spider Mites and they are susceptible to cold weather. 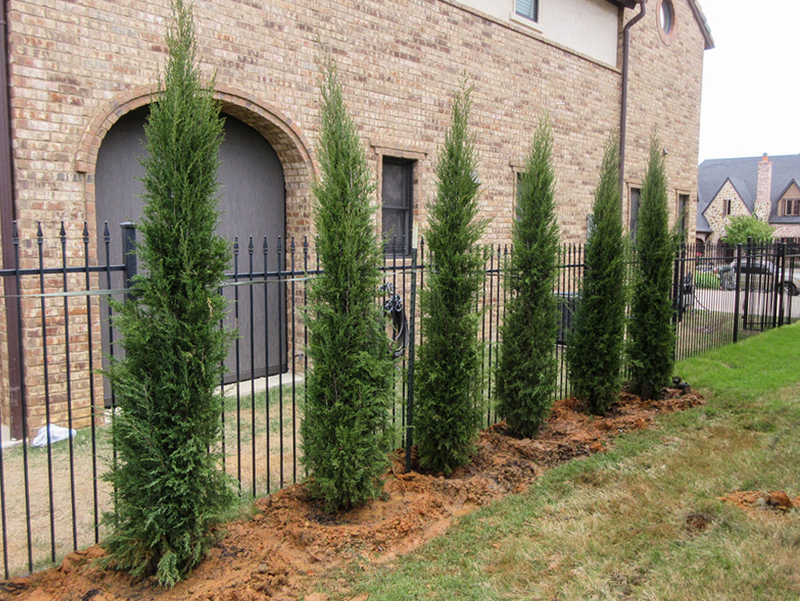 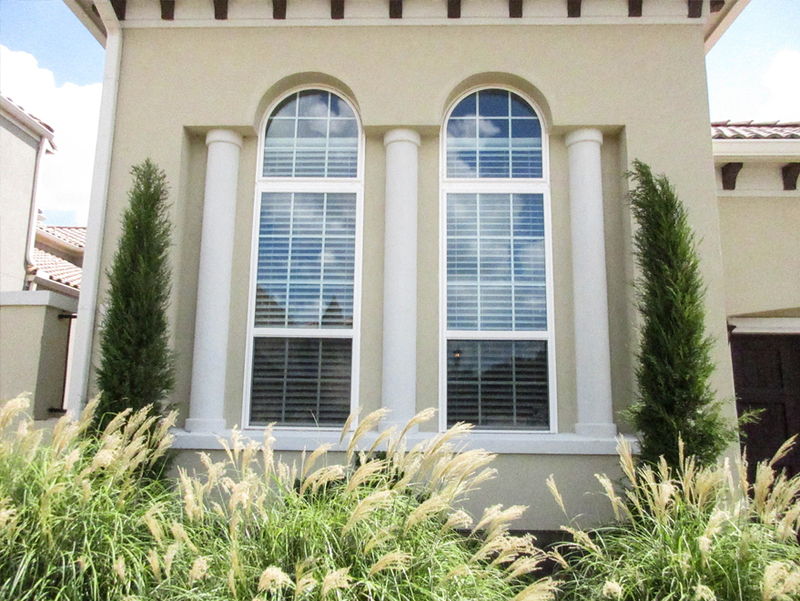 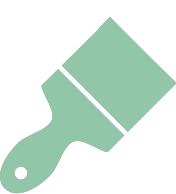 With this introduction of the Taylor Juniper all of those issues are solved while keeping the desired look of an Italian Cypress. 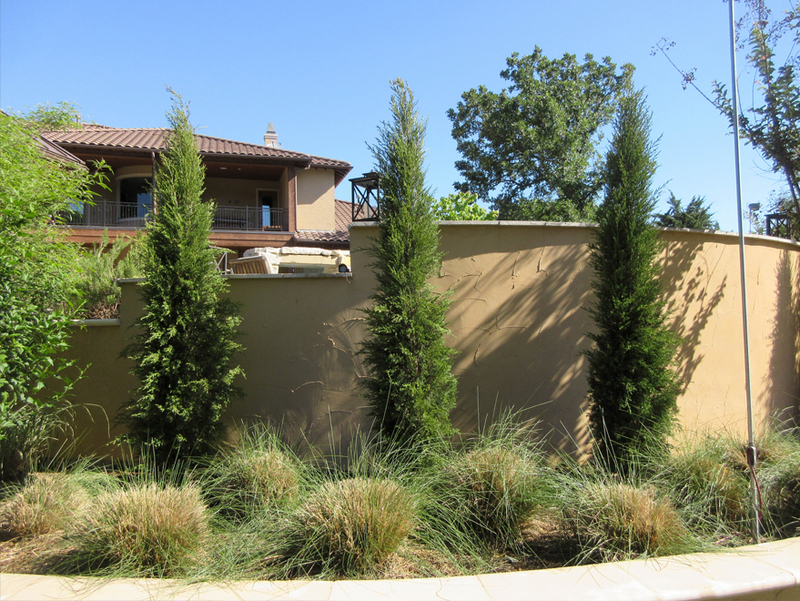 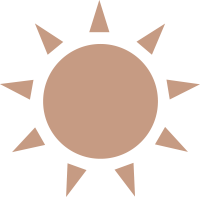 Eastern Red Cedar (parent plant of the Taylor Juniper) are native throughout Texas and are extremely drought tolerant, disease resistant and able to handle a wide variety of soil conditions and all of these traits can be seen in the Taylor Juniper. 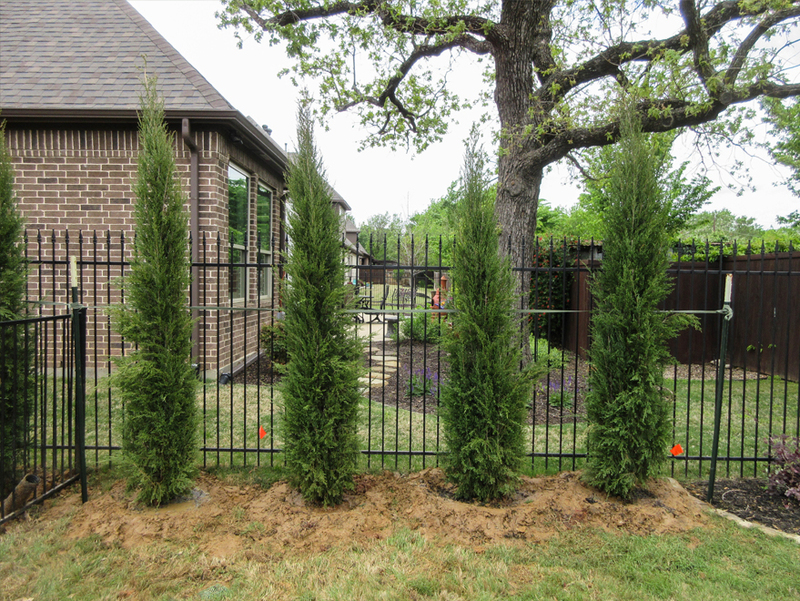 Most landscapes incorporate Taylor Junipers by planted them as hedges in narrow areas between a pool and fence or as accent pieces flanking doorways.